The beauty of this city's past is still present in the midst of the dryness of nature. This city was founded by Rawal Jaisal in the twelfth century. The road to trade between Central Asia and India was passing through here. This is why this city was quite prosperous during this period. The main business of traders of this route was silk, spices, gold and jewels. 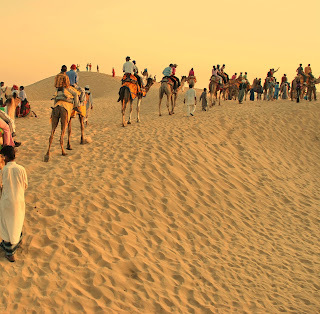 This city, which is adorned with a wonderful desert beauty, is also on the world tourism map and a large number of foreign tourists can also be seen here. 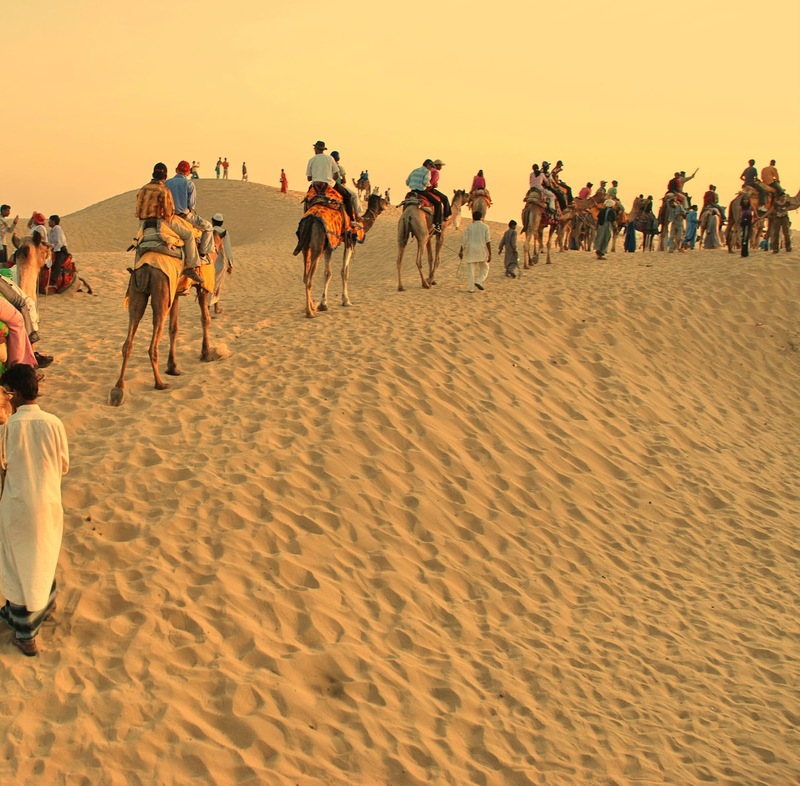 Jaisalmer is a city of amazing oddities. Between the golden plains of distant sands spread far and wide, this city is also covered with golden aura, because this whole city is made of yellow stones which is why it is also called Golden City. Sonar fort - The Chandrakar perimeter of this fort, located on the Trikut hill, is about 80 meters high in the middle of the city, more than two kilometers. There are 99 turquoise in this parquet built on it. The fort has four gates - Akshaypol, Surajpole, Ganesh Pol and Hawapole. 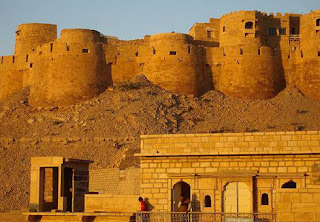 There are many palaces in the unmatched Sonar Fort in architecture. These are Vilas Palace, Rang Mahal, Badal Vilas, Best Villas and Janana Mahal. Apart from the palaces there are eight Jain temples and four Vaishnava temples here. The architecture and sculpture of Parshvanath temple and Rishabhdev temple in Jain temples are excellent. Gadsisar Lake - The real beauty of this lake is seen in the morning at sunrise. When the shining reflection of the red sun in lake water makes the whole water colorful and attracts tourists. The lake was constructed by Garhi Singh. Akal wood fossil park - This is 180 year old park, 17 km from Jaisalmer city. This park is spread over 21 hectares of area. 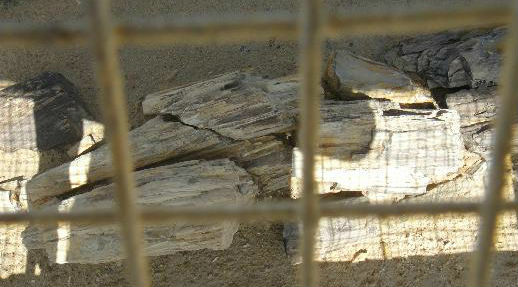 The tourists can see the huge fossils and ancient seabirds of tree stems here. 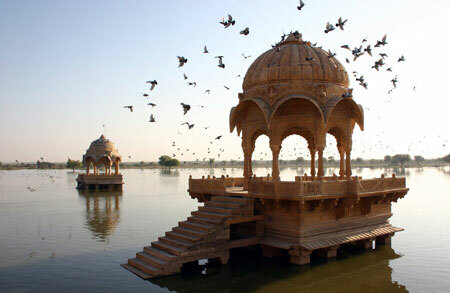 Amar singh palace - Located on the banks of Amar Sagar Lake, Amar Singh Palace is a beautiful royal palace. 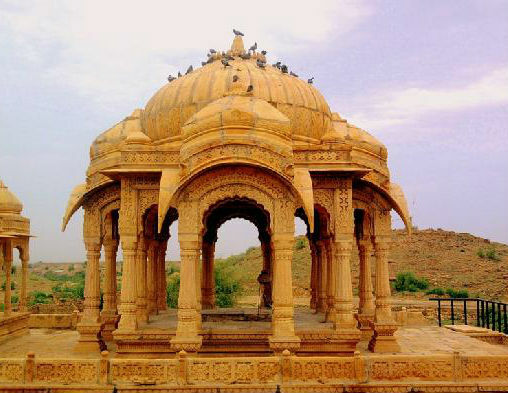 This ancient monument is just 7 km from Jaisalmer town. This 17th century palace was built in honor of Amar Singh by King Maharaj Akhai Singh. Bada bagh - This place is located 6 kilometers from Jaisalmer city. 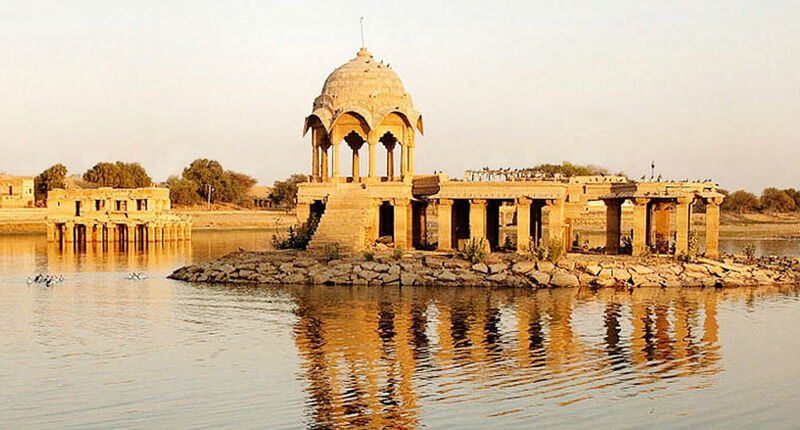 In addition to the monuments inside the park, tourists can also see the Jaitaar tank, the Jaita dam and a Govardhan pillar.